Saudi Arabia has announced a national programme for rationalising water consumption. Saudi Arabia, with a population of about 33.4 million, is the world’s third largest per capita consumer of water after the United States (pop. 324.5 million approximately) and Canada (pop. 37.2 million), according to the Qatrah website. The programme sets ambitious targets that include slashing usage by nearly 24 per cent by next year and 43 per cent by the end of the next decade. 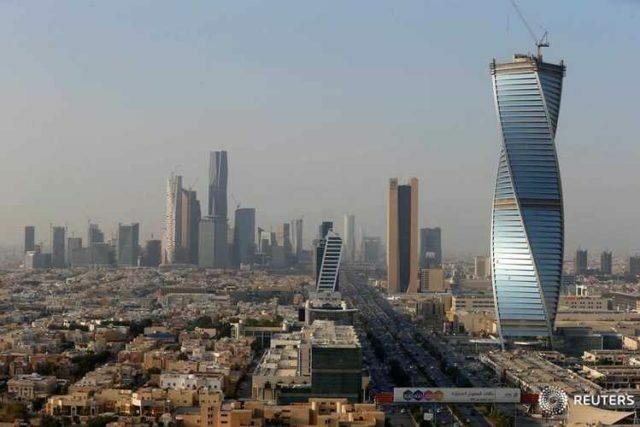 The announcement came at the Saudi Water Forum 2019, held this week in Riyadh, and with World Water Day set for March 22. The Qatrah (droplet, in Arabic) programme that aims to attain water sustainability was launched by Saudi Minister of Environment, Water and Agriculture, Abdul Rahman Al Fadley during the forum. Under the theme “Sustainable Water for Sustainable Development”, the forum aimed to promote sustainability in Saudi Arabia’s water management sector, localise international expertise in the sector, attract foreign investment into the industry and increase the implementation of water technology. Through the Qatrah programme, the Ministry of Environment, Water and Agriculture aims to reduce daily per capita consumption from 263 litres to 200 litres by 2020 and to 150 litres by 2030. The water conservation program will be implemented by the state-owned National Water Company in all regions of the Kingdom whose high levels of per capita water consumption does not keep with its water conditions. “Qatrah has been established to contribute to changing the behavior of individuals, raising water awareness, sustaining water resources, optimizing water resources through rationalization, and will allow society of maximize the benefits of food, fuel, electricity and water support, as well as safeguard natural resources,” a statement from the Centre for International Communication (CIC) said. According to the 2015 Global Food Security Index, 97 per cent of Saudi Arabia’s population has access to potable water, despite extremely low annual rainfall, very high evaporation rates and the depletion of groundwater through previously unfettered usage. Water conservation is far from just a Saudi issue. World Water Day was created to highlight the importance of freshwater and to advocate for the sustainable management of freshwater resources. The internationally recognised theme this year is ‘Leaving no one behind’. Previous articleIs Bahrain Facing Hurdles After VAT Implementation?